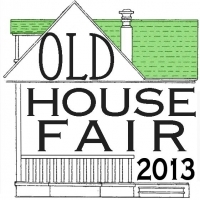 The annual Lakewood Old House Fair will be next Saturday, April 27th from 11 a.m. to 4 p.m. at Harding Middle School, located at Madison Ave. and Hilliard Rd. It is Lakewood’s very own customized home-improvement show. Though hardly showy, this little nonprofit event focuses on the unique needs and care of Lakewood’s older architecture and living spaces. With free admission and a couple hours of your Saturday you will get so much from this one-stop shop. You get to talk with the actual plumbers, painters, roofers, etc. You can get some free do-it-yourself advice or meet the people behind the business before inviting them to your home for a free estimate. Many of the exhibitors will be holding booth raffle giveaways to help boost your home projects. Exhibitors like the Friends of Lakewood Library Book Sale and Lakewood Garden Center will be selling items for your home and garden needs. We are also thrilled to bring you two scheduled educational forums that have been customized to address the unique needs of Lakewood. In partnership with The Lakewood Observer’s new LOKOL (Lakewood Observer Know Our Lakewood) public forum series, the Home Show will present guest speakers who are experts on the topics at hand. These discussions will also foster community engagement and help identify and solve some of our pressing current issues. To make it convenient for you, we are holding each forum twice so that you can easily attend at least one of these forums while you are there. At noon and 2 p.m. will be the “Great Paint Discussion.” We will assess exterior siding options and dilemmas for the typical Lakewood wood-sided house (even if it is covered up by synthetic siding). Our goal is to help homeowners make a well-informed choice about their exterior siding before spending their precious time and money. We will present the pros and cons of wood siding versus vinyl siding. We will explore how to get an exterior paint job to last and how long is realistic for a paint job to last. We will get into the frustrations of paint failure. One hundred years of accumulated paint can make it hard for new paint jobs to last. We will share methods that are being used among fellow homeowners and paint contractors who are having success with maintaining a beautifully painted house without breaking the bank. Our second scheduled forum, at 1 and 3 p.m., will be “The Giving Tree.” The subject of trees in Lakewood will take center stage for this talk. Read more about it in this issue by author John Palmer. Get your project list in order and bring your questions. Come out and join the party next Saturday. You will enjoy the company of many of your Lakewood neighbors. Jibaro’s Pit Stop, newly opened on Madison Ave., will be featuring a selection of lunch items for sale.